Scott Godes is an experienced trial lawyer who cut his teeth as an insurance coverage litigator trying complex coverage matters arising out of thousands of asbestos liability claims and one of the earliest coverage cases for an online services provider. With the cases touching on nearly every principle in insurance coverage law, that background helps him to develop appropriate coverage arguments for developing areas of coverage law. Speaking of developing areas of law, Scott is a computer geek at heart (find him on Twitter at @insurancecvg) and as soon as he saw that there was a need for particular specialized work with respect to ensuring that insurers properly cover claims for cybersecurity, data breach, and privacy claims, he immediately focused on the area in earnest, so that he could join his professional background and personal interests. 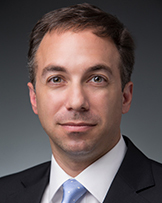 Scott represents and counsels corporate insurance policyholders regarding insurance coverage for computer data, hardware, and software claims; data breaches; and online services. Because of his background and the length of time that he has been focusing on these issues, his peers in the insurance coverage community have made him a co-chair of the ABA’s Computer Technology Subcommittee of the Insurance Coverage Litigation Committee. When he was with Dickstein Shapiro, his firm also has made him the co-lead of its Cyber Security insurance coverage initiative. It’s been said that Scott wrote the book on insurance coverage for these issues, but more accurately, he wrote the book chapter on these issues. He is the author of the insurance coverage for cybersecurity and intellectual property risks chapter in the leading insurance coverage liability treatise (Appleman Law of Liability Insurance) and also wrote the Cyber Security section of the Insurance chapter in the Corporate Compliance Practice Guide (LexisNexis 2009). The net of his experience and writing background is that he is comfortable discussing these issues with insurance coverage lawyers and courts, but more importantly, he can explain potential risks and needs to technologists and corporate officers. Outside of his more formal writing, you can follow his thoughts on coverage issues on Twitter http://twitter.com/insurancecvg or his blog http://corporateinsuranceblog.com (which was one of Lexis’ top insurance blogs for 2009). Scott writes and maintains this blog. His bio on LinkedIn is found here. I am the webmaster of several quality finance sites. I am interested to do a guest post submission in your site:http://corporateinsuranceblog.com . My content will be unique. Web master & Content Writer..